The German traditional manufacturer Bega has put great emphasis on the manufacture of high-quality exterior and architectural lighting for more than 60 years now. The Bega 77008 recessed floor light LED exemplarily stands for a continuously high quality offered by the company based in the German Sauerland region. The 77008 recessed floor light LED is provided with a walk-over housing that is made of glass fibre reinforced polyamide. At the top, the light source is covered with clear safety glass and a reflector made of anodised aluminium. A cover ring made of stainless steel ensures a flush mounting into the ground, lawn or gravel. 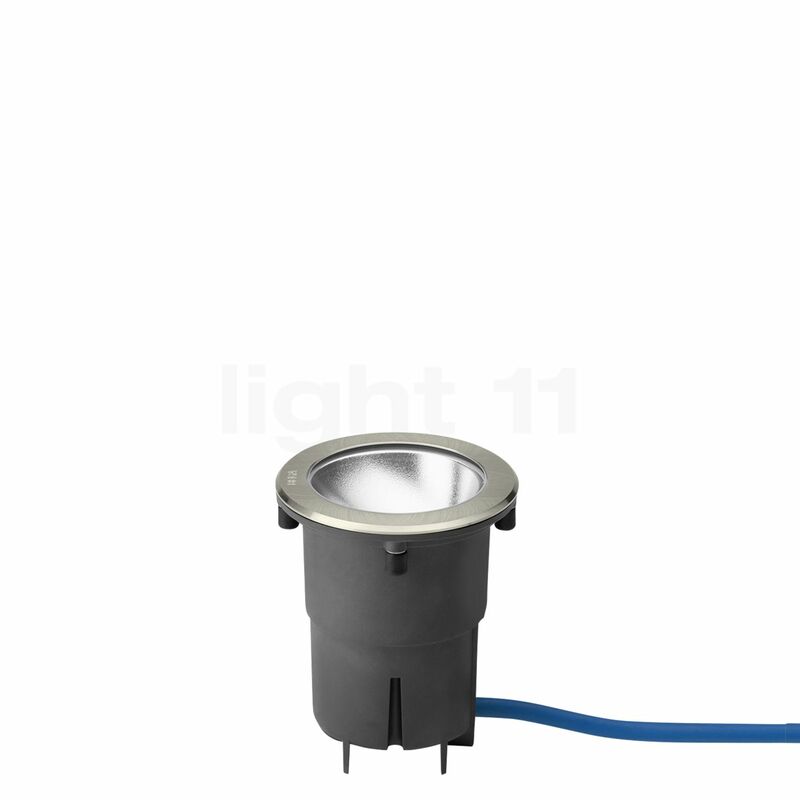 Once the floor light is firmly installed in the ground, it emits its bright light asymmetrically upwards. The Bega 77008 recessed floor light LED is ideally suited for illuminating the house entrance or the garden. This floor light creates small islands of light that provide for guidance in the dark. At the same time, it increases the security by making possible tripping hazards easier to see. Furthermore, the 77008 recessed floor light LED can also be used to highlight striking elements on the façade. A terrace can also be highlighted using this floor light by Bega by installing several pieces of this light on its edge. The Bega 77008 recessed floor light LED is designed in accordance with protection type IP67, which means that the light is completely dust-proof and protected against temporary submersion into water. For this reason, it can be safely installed into the ground. Furthermore, this floor light convinces with its energy-efficient LED module that only requires 4.2 watts to produce a luminous flux of 450 lumens. Thus it achieves a higher light intensity than a conventional 40 W incandescent lamp, while consuming a tenth of the energy. This means that the 77008 recessed floor light LED by Bega reduces the impact on the environment and makes sure that you save money. Moreover, the LED lamps of the Bega 77008 recessed floor light LED have an extremely long service live of at least 50,000 hours, which corresponds to a period of use of 50 years based on a daily operation of 3 hours. However, Bega also guarantees its customers that they will be able to obtain a replacement module even 20 years after purchasing a 77008 recessed floor light LED. Tell other customers and us about your experiences with the 77008 - recessed Floor Light LED !